The Fund was pleased to welcome renowned Australian agronomist Dr Peter Carberry, Deputy Director General—Research at International Crops Research Institute for the Semi-Arid Tropics (ICRISAT). At the invitation of the University of Sydney, Peter presented the annual RD Watt Lecture, which commemorates the first lecture delivered to University of Sydney agriculture students in March 1911 by Australia’s first Professor of Agriculture, Robert Dickie Watt. Watt developed courses with a strong scientific content which became a characteristic of the Sydney degree. The evolution in Australian dryland farming systems in response to climate risks can point the way for the world’s poor smallholder farmers of the dryland semi-arid tropics. In addition, Peter highlighted the importance of ICRISAT work on ‘Smart Foods’. 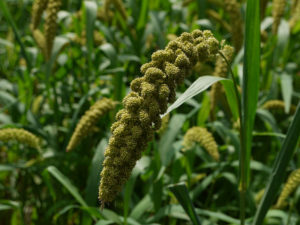 ICRISAT’s mandate crops, millets and sorghum, are ‘Smart Foods’—defined as food that is good for you, good for the planet and good for the smallholder farmer. Peter’s presentation and a video of the evening can be found at the RD Watt Lecture page on the University of Sydney Agriculture Website. An interview for Peter, arranged by the Fund with Devex, will be posted here once available.